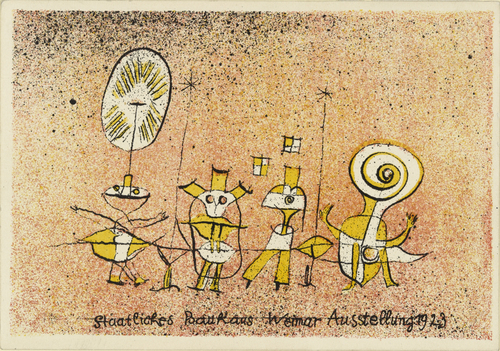 Today is the 138th birthday of the artist Paul Klee. His work is the type that I am organically drawn to. I still remember the first time I saw his art: It was on the beginning of every chapter of a textbook my first year of college. I flipped ahead through the entire book, just looking for his next piece. I have no memory of the class, it was either and English or a Sociology and I am only really sure of that because of the building it was in. But his art has stuck with me all along. It made me understand that there is skill in being simple, that making things seem easy is quite technical. I am sure that has been adopted into my everyday life to some extent. The world is a better place because Paul was in it and still feels the loss that he has left. BEST KNOWN FOR: Paul Klee is a Swiss and German painter whose highly individual style is best known by an often childlike perspective and spidery hieroglyph-like symbols. Paul Klee was born in Münchenbuchsee, Switzerland, and is considered both a German and a Swiss painter. His highly individual style was influenced by movements in art that included expressionism, cubism, and surrealism. He was, as well, a student of orientalism. Klee was a natural draftsman who experimented with and eventually mastered colour theory, and wrote extensively about it; his lectures Writings on Form and Design Theory (Schriften zur Form und Gestaltungslehre), published in English as the Paul Klee Notebooks, are considered so important for modern art that they are compared to the importance that Leonardo da Vinci‘s A Treatise on Painting had for Renaissance. He and his colleague, the Russian painter Wassily Kandinsky, both taught at the German Bauhaus school of art, design and architecture. His works reflect his dry humour and his sometimes childlike perspective, his personal moods and beliefs, and his musicality. A museum dedicated to Klee was built in Bern, Switzerland, by the Italian architect Renzo Piano. Zentrum Paul Klee opened in June 2005 and houses a collection of about 4,000 works by Paul Klee. 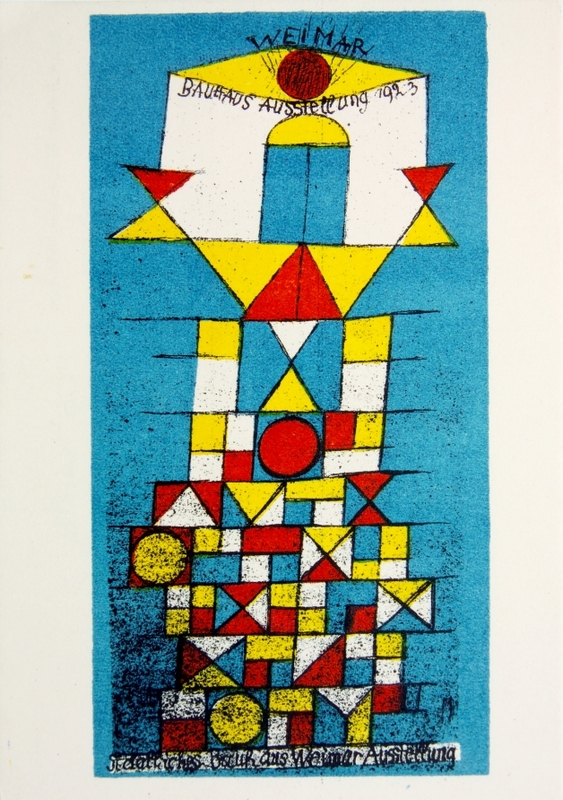 Another substantial collection of Klee’s works is owned by chemist and playwright Carl Djerassi and displayed at the San Francisco Museum of Modern Art. Klee suffered from a wasting disease, scleroderma, toward the end of his life, enduring pain that seems to be reflected in his last works of art. One of his last paintings, “Death and Fire“, features a skull in the center with the German word for death, “Tod”, appearing in the face. He died in Muralto, Locarno, Switzerland, on 29 June 1940 without having obtained Swiss citizenship, despite his birth in that country. His art work was considered too revolutionary, even degenerate, by the Swiss authorities, but eventually they accepted his request six days after his death. His legacy comprises about 9,000 works of art. The words on his tombstone, Klee’s credo, placed there by his son Felix, say, “I cannot be grasped in the here and now, For my dwelling place is as much among the dead, As the yet unborn, Slightly closer to the heart of creation than usual, But still not close enough.” He was buried at Schosshaldenfriedhof, Bern, Switzerland. 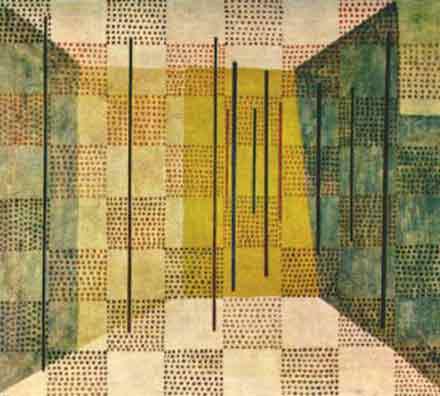 Today, a painting by Klee can sell for as much as $7.5 million.